Following more than a decade of collaboration, the highly coveted collection marks the grand finale in the prestigious Six Pillars odyssey – an exclusive series of limited edition decanters by The Macallan and master French crystal maker, Lalique, inspired by the foundation stones upon which The Macallan creates its exceptional whiskies. As the world’s only complete collection, official and direct from The Macallan, The Legacy Collection was listed in the Sotheby’s ‘Finest & Rarest Wines and The Macallan’ auction in Hong Kong on Sunday 2 April 2017, with all net proceeds to be donated to Hong Kong based and other Asian charities. 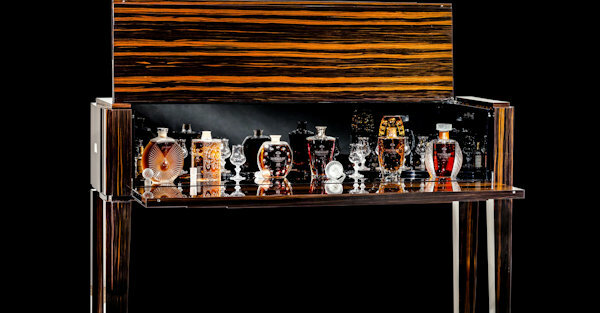 Housed in a one and only, bespoke natural ebony cabinet created by Lalique Maison, The Legacy Collection also holds six Macallan Fine and Rare miniatures; two from each of the 1937, 1938 and 1939 vintages (signifying the zenith of Lalique’s contribution in the French Art Deco period), and six pairs of Lalique Macallan glasses, each serial numbered to commemorate the unique partnership. Autographs of the masters behind the collection are included inside the cabinet, which also allows space for the buyer to have their own name engraved within it as well. Since its inception in 2005, The Macallan in Lalique Six Pillars series has captured the imagination of collectors around the world. 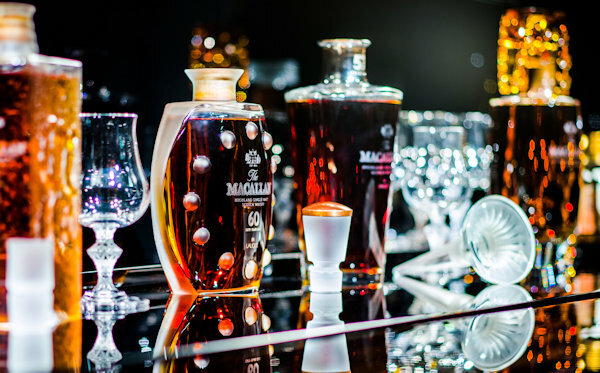 In 2014, The Macallan accounted for the top ten priced bottles sold at auction; eight out of ten sales being decanters from The Macallan in Lalique series (Whisky Magazine). In 2015, The Macallan was the most valuable whisky brand at auction, accounting for over 25% of the total value traded at auction (Rare Whisky 101). The Macallan has a strong relationship with Sotheby’s, having previously worked together on both its world record auctions including, The Macallan 64 Years old in Lalique Cire Perdue Decanter in November 2010, selling at auction in New York for US$460,000, and the Imperial M Decanter in January 2014, selling at auction in Hong Kong for US$628,000. The charities set to receive funding from the proceeds of the auction include those which benefit disadvantaged people in Hong Kong and throughout Asia by supporting them with food needs, skills to help them back into employment, and medical requirements.